Do you still remember your thoughts and feelings as a child, when you dreamed of a treehouse? Surely you do. Adventurous thoughts about a house in the treetop, hidden behind green leaves, are not forgotten easily. 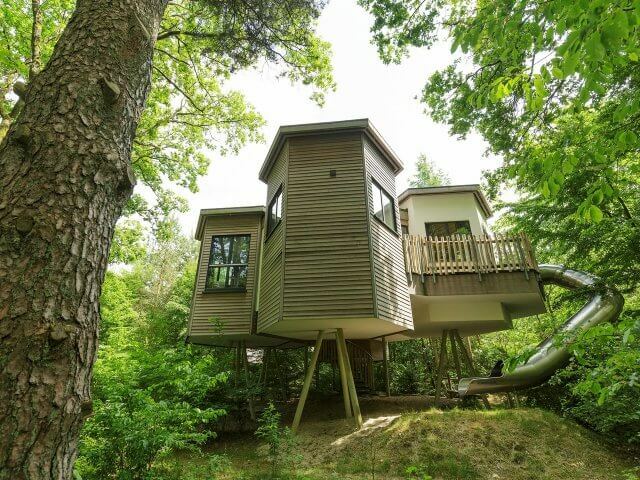 If you want to finally refresh your memory, you can let that childhood dream of your own treehouse come true. Instead of a classic holiday at the beach you can book a treehouse holiday. For many of us it will be the first time to climb up higher, to sleep and dream a little closer to the clouds. But before you start you should search for your treehouse. A short research on the internet will offer you all opportunities and a big variety for a treehouse holiday. But how do you start? First of all it is important to decide about the duration of the holiday. Many treehouses are booked for only a few days, for weekend and short trips. If you are clear about the time window, you should choose the location. The good thing about treehouse hotels is that there are often some of them close by. As the wooden accommodations became more and more popular recently, there is a huge variety in Germany, Austria and Switzerland. Depending on the duration of your stay you should choose the distance that you want to travel. 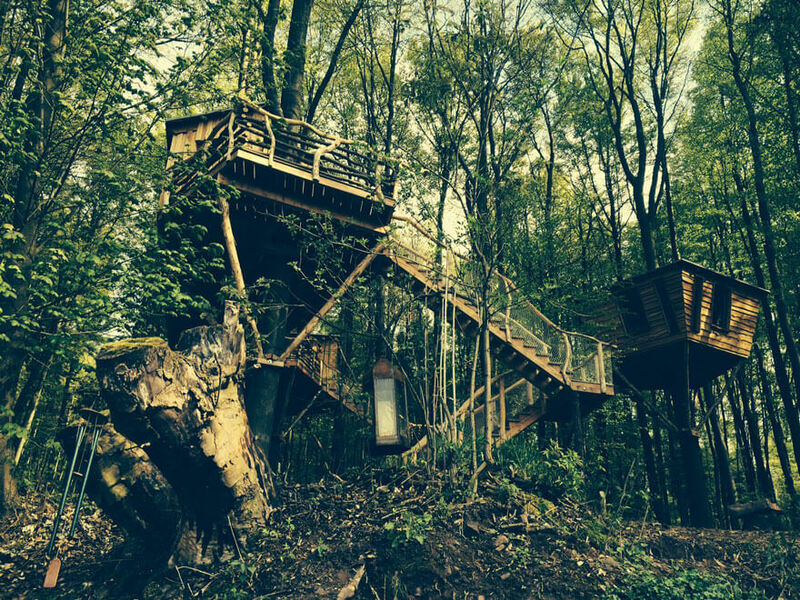 To make you search easier, we made a list of the available treehouse hotels in Germany. Besides normal cottages and accommodations there are also two treehouses at Center Parcs. The advantage of this variant is that there are lots of options for your leisure time, as well as culinary opportunities. Those who plan a treehouse stay with children are in good hands at Center Parcs. Those who fancy a little more luxury and design will enjoy a stay at the Tree Inn at Dörverden. 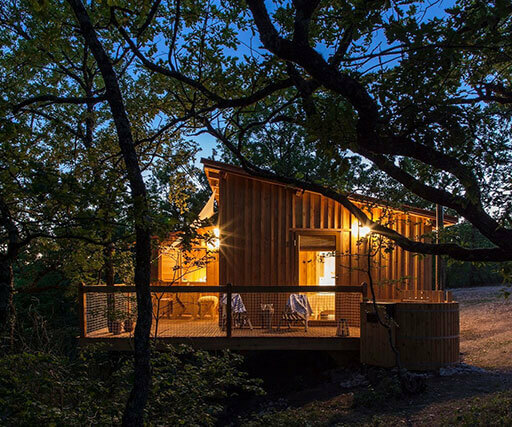 The stylish treehouse hotel is located in the middle of nature, has an elegant wooden look and is integrated almost perfectly into the natural environment. 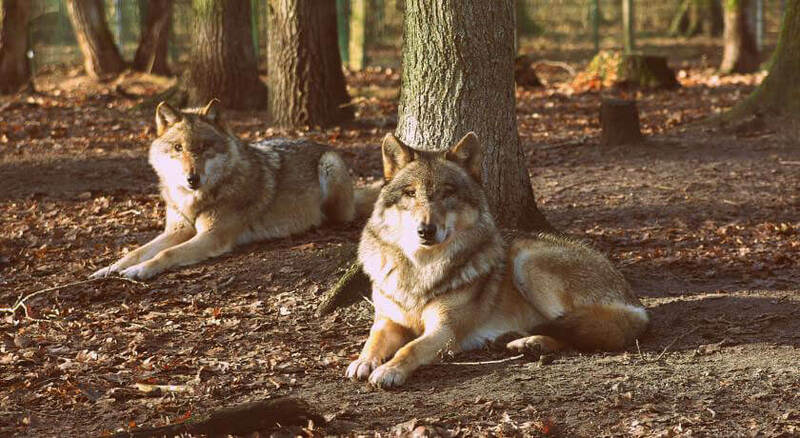 Another plus: With a little luck you can spot some wolves. At the treehouse Cuxhaven you also get your money’s worth. At four meters height you will enjoy an unforgettable view surrounded by wonderfully scenting green trees. The accommodations are suitable for everybody, either for romantic nights with your partner or for a little family holiday at the treetops (maximum 3 persons). Especially in summer time you can enjoy the breakfast on a big terrace. More information you’ll find at our detailed article about the treehouse Cuxhaven. We are moving to the south now, because there are also a lot of exciting treehouses. They will raise your anticipation of a stay in the nature already while booking. At Hessia there is a high-end treehouse hotel: This hotel is not built on stilts like the others but is fixed at a tree trunk. That means the comfortable accommodation sways with the tree at windy weather. Perfectly suited for everyone who seeks the adventure. Additionally, Robin’s Nest has a wooden and very natural furnishing, so you will feel like in a real treehouse. No frills or useless facilities – at Robin’s Nest you will get closest to nature. 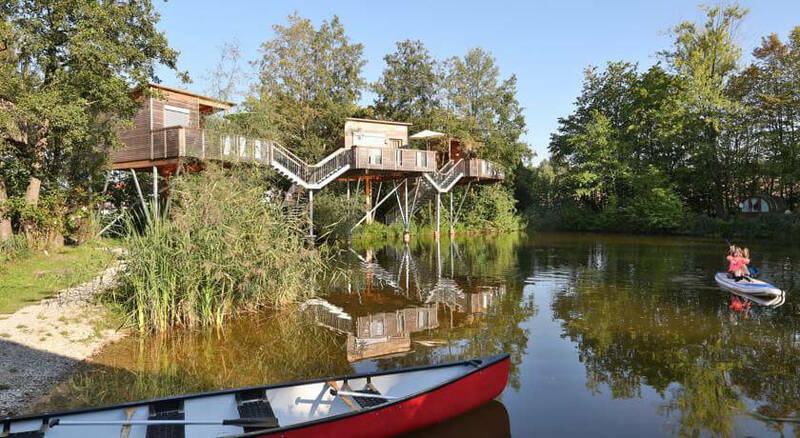 The treehouse hotel Oberbayern offers neat treehouse rooms at the lake-shore. The houses impress with great furnishing and their views over the lake. The accommodations are suitable for all those who seek a natural atmosphere but don’t want to miss a special comfort. 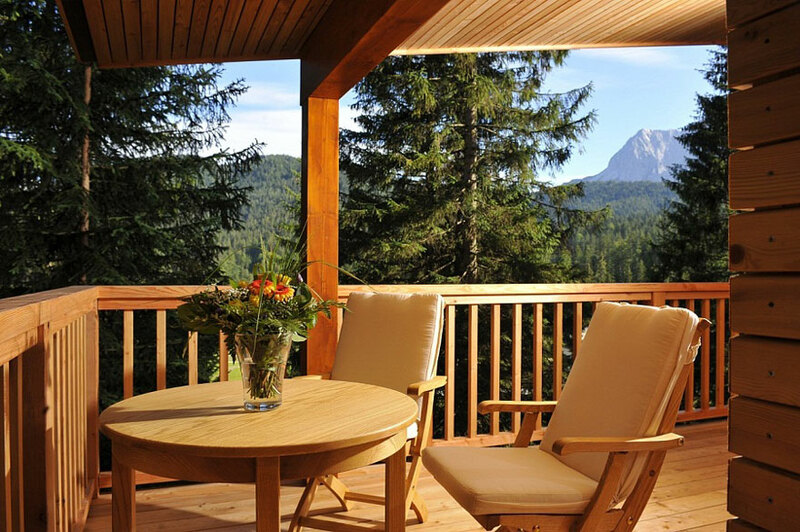 And now a recommendation for those who want to sleep in the forest and also have the conveniences of a wellness hotel: The treehouse at the 4-star-hotel and wellness refugio “Das Kranzbach” (near Garmisch-Partenkirchen) invites you to relax between treetops and birdsong. With 50 square meters of living room and a 30 square meter terrace, this treehouse is a special haven. Big panorama windows open a wonderful view into nature. The furnishing includes a big double bed, a living room corner, a tea station and an walk-in wardrobe. While reading on the terrace with its chairs and a double sunbed, or having a hot bath together at the double bath tub – this treehouse is pure comfort at about four meters height and only 100 meters away from the hotel. More information and pictures you’ll find at our article about this treehouse. If you already found your treehouse in this small selection, you can start at once and book your treehouse apartment. For those who need further persuasion we gathered all relevant information at this text. To book a full package for a treehouse hotel is more difficult than it sounds, because stays at treehouse hotels are adventures. Planned and completely bookable holidays are more something for big hotel chains and package holidays. 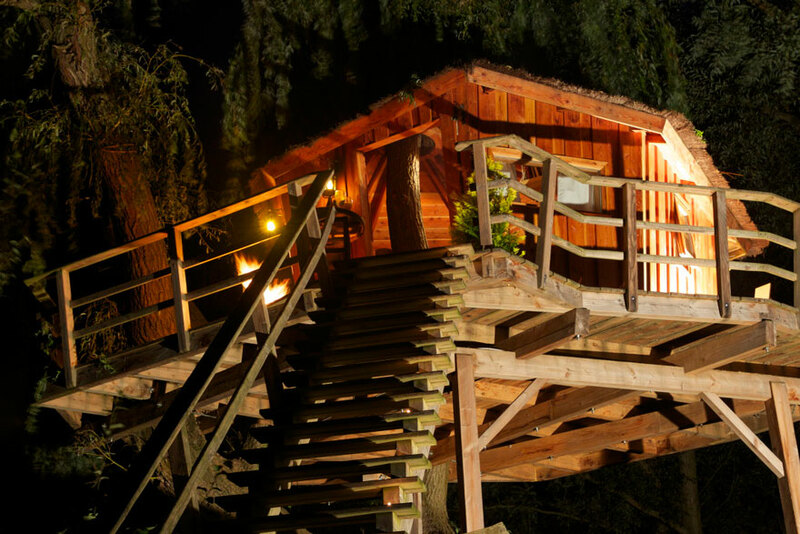 Those who want to book a full package anyway can do so at the treehouses at Center Parcs. There is a variety of different leisure packages and a choice of restaurants available. If you want to reduce your full package a little and consider a treehouse hotel with breakfast to be part of this category, you can book a stay at almost all of the treehouse hotels. Many hosts offer a breakfast service that delivers fresh rolls, spreads and jam. If your home country isn’t spectacular enough for you, you can seek for an exotic hotel abroad. There are also beautiful treehouse hotels in foreign countries. Depending on the country or continent they differ regarding their locations, facilities and prices. The variety of beautiful treehouses is huge. Even pictures of them and their views invite you to dream – but often they don’t have a lot in common with the classical treehouses from our childhood. Nevertheless they are beautiful and have their own individual charm. 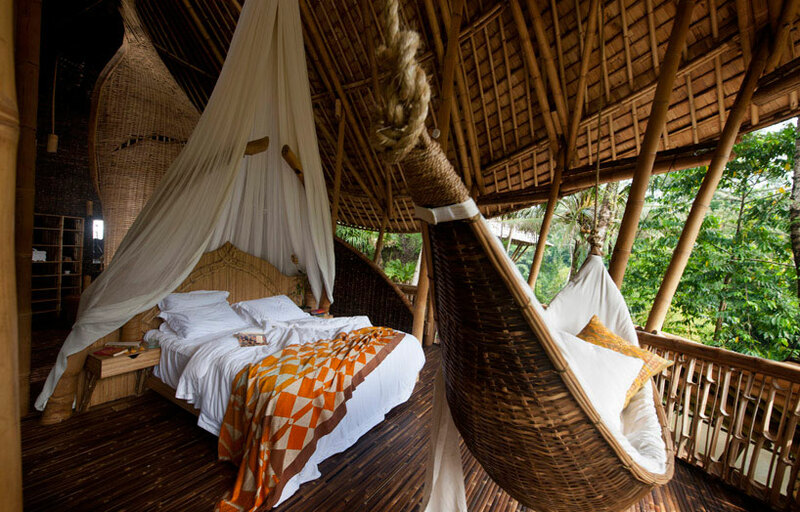 For lovers of warm weather and exotic nature, a treehouse on Bali is the right spot. Your best dreams will come true. The weather, tropical fruits and cordial people will make your visit an unforgettable experience. The special thing about a treehouse on Bali is the unusual architecture, including a lack of window panes – because in such a warm country you don’t need them. Everything is open and seems wide and spacious. Also the other materials are interesting. 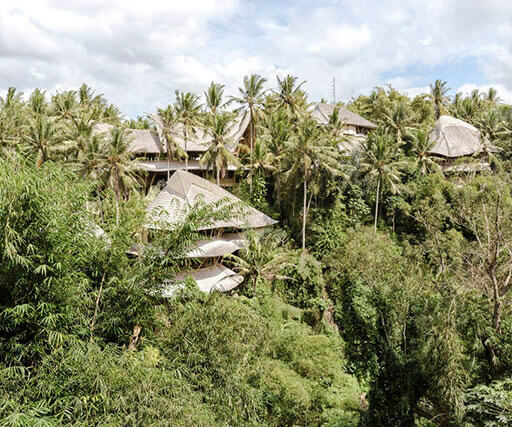 As you may have expected, the treehouses on Bali are mostly built from bamboo, which creates a local flair and raises the expectations about a treehouse to a totally new level. 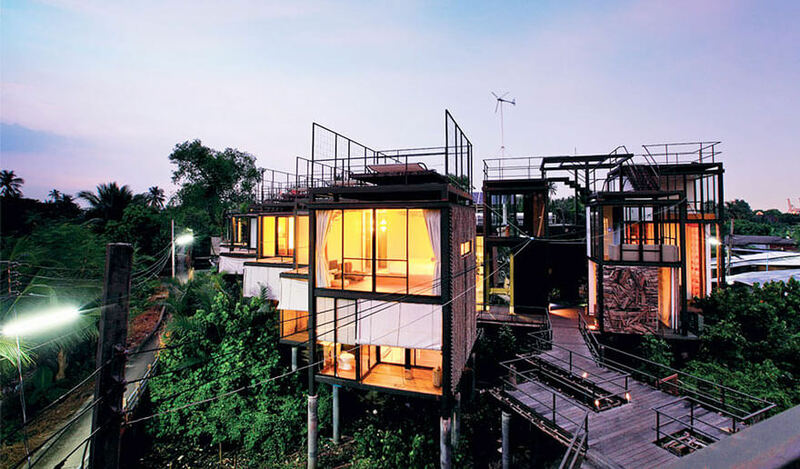 If Bali is too far away for you, too hot or exotic, you could have a look for treehouses at closer foreign countries. What could be a better choice than Italy? 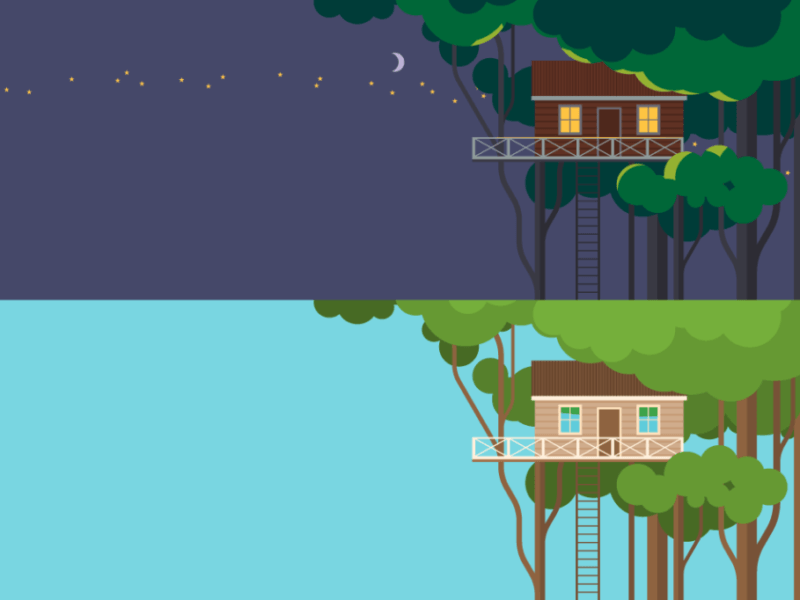 But be careful: Also a treehouse in Italy doesn’t have a lot in common with the ones in our local forests, because the environment is totally different. Instead of sleeping between trees high up with the birds, you live in a wooden house above the ground that is surrounded by scenting lavender – which is of course also very pleasant. Small stony paths, olive trees and blooming lavender characterize the environment. 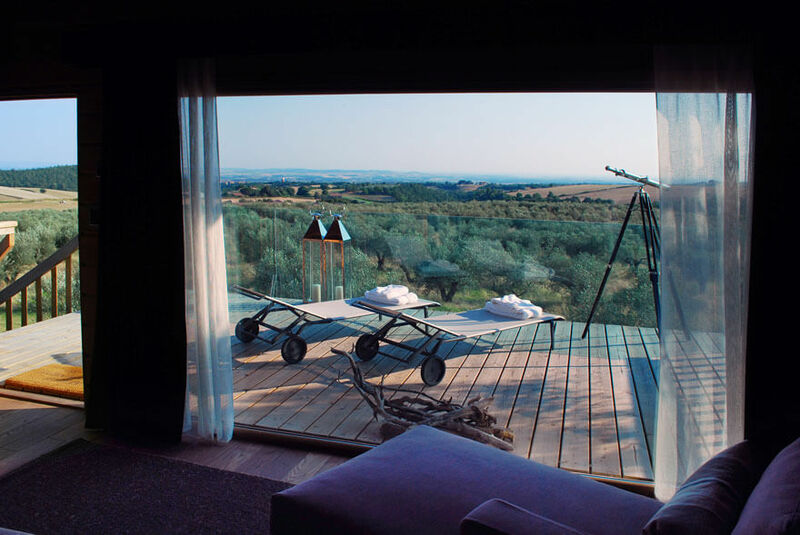 Especially at Tuscany there are beautiful treehouse hotels with a great holiday flair. The Mediterranean atmosphere makes your stay a sensual adventure, and if you like Italian food, this is definitely your spot. Italy is too boring for you? Then you can also search for treehouses on other continents. Big adventures are waiting for you if you book a treehouse hotel in Africa. The facilities are mainly very luxurious and the locations fantastic, the views priceless. Many of these treehouse hotels are located in the middle of nature, close to lions, elephants and giraffes. For everybody who wants to spend an exciting holiday abroad, this is a great chance. Most of these treehouse hotels have a big terrace, and some offer even beds under the stars. Who wouldn’t be able to find total relaxation there? Sleeping on a terrace next to lions, elephants and hyenas? In every case this option is to be recommended for adventure lovers. 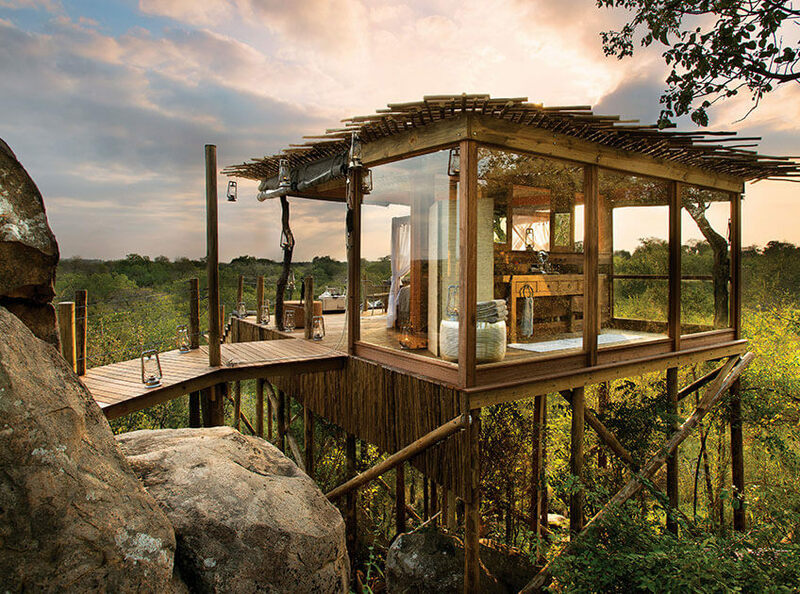 And also for a romantic holiday a treehouse in Africa is an unforgettable experience. If you like it more local you can choose a country more close by. For example in Switzerland and Austria there are many beautiful treehouse hotels. They have the advantages of a short journey there and a local atmosphere. 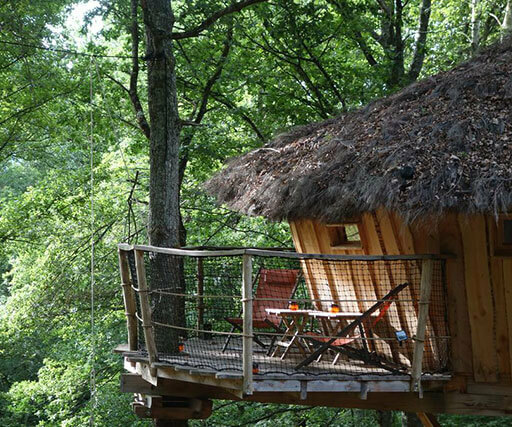 These treehouses are often located at forests and equipped better for family holidays. Other great family destinations are our Scandinavian neighboring countries. Especially Sweden offers spectacular treehouse hotels: They range from a natural treehouse to design apartments at the treetops. The biggest advantage are the forests that surround the hotel rooms. What is a bit rare in Africa or India is available in abundance in Sweden. You can run, hike or climb between the trees. But also those who want to book a holiday without kids may find the north a good option. The shorter distance makes a weekend stay possible, too. It’s the ideal place to clear your head, be inspired or have a romantic short trip. The Swedish design invites you to be creative and will take your mind off things for the whole weekend. Regarding the food, you don’t have to change your diet completely. Local food that is prepared to our standards, and an European breakfast will make your stay perfect. The treehouse hotels abroad are wonderfully exotic, impress with great comfort and alternative architecture and building materials. Furthermore, you will get to know paradisaical animals and different cultures. For a romantic holiday for couples but also for adventurous travelers this is highly recommended. 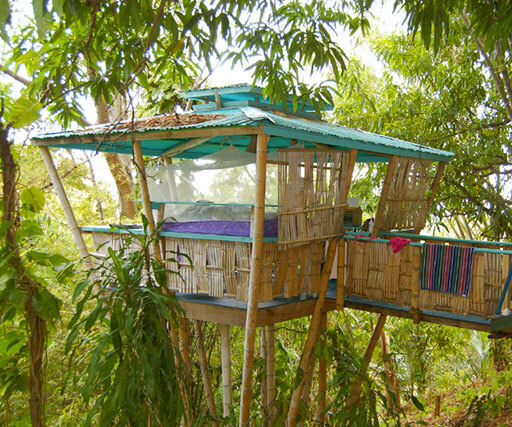 Even a few days at an exotic treehouse made from bamboo will stay in your memory forever. Those who want to book a treehouse hotel with their family should choose an accommodation in their own country or the Scandinavian neighboring countries. They have the advantage of a shorter journey there. The leisure opportunities are more suitable for children, and you don’t have to care about problems like snakes or other dangerous animals. The local forests offer lots of space for playing and running, while in Africa this space is limited and you shouldn’t walk too far from the treehouse on your own. Another big advantage of the local forests is the language: Speaking your own language makes your holiday easier to organize and prevents misunderstandings. Do I need a Visa for a Treehouse Hotel? 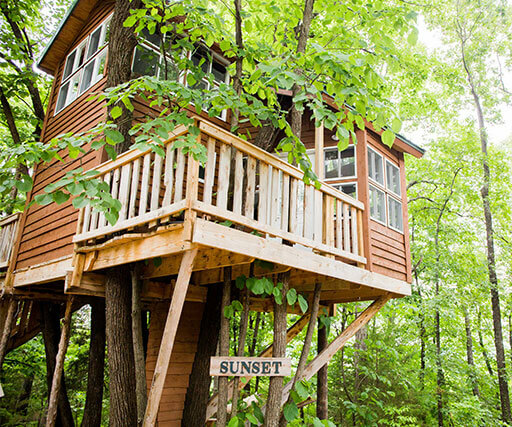 After introducing many treehouse hotel destinations to you, there still remains the question of organization. 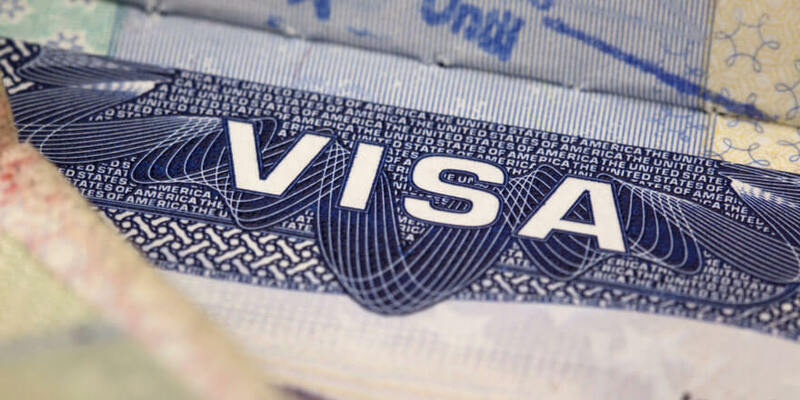 The question about the visa is extremely important. The answer depends of course of your nationality and destination. As a German citizen you don’t need a visa for all European countries. You can travel there with your passport. Just check the expiration date of the passport before you leave. If you choose an exotic destination you should inform yourself on time about the immigration rules. The validity of the passport and the early application for the visa are crucial. The time window to apply for a visa varies from country to country. On the website of the Federal Foreign Office (Auswärtiges Amt) you can inform yourself about the different countries and rules for immigration. 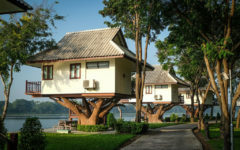 Do I need a Travel Insurance for a Treehouse Hotel? The question of insurance is always very personal. Some have an insurance for everything – some for nothing. Generally you should have a travel insurance for journeys abroad, especially for exotic continents like Asia, South America or Africa. Even if you don’t need the insurance abroad, it will give you a good and safe feeling during your journey. Most travel insurances include a travel cancellation insurance and are therefore recommended for expensive holidays. The flight, hotel and everything else you booked will not be refunded without it. Also if you get sick during the holiday, you should have a travel insurance. 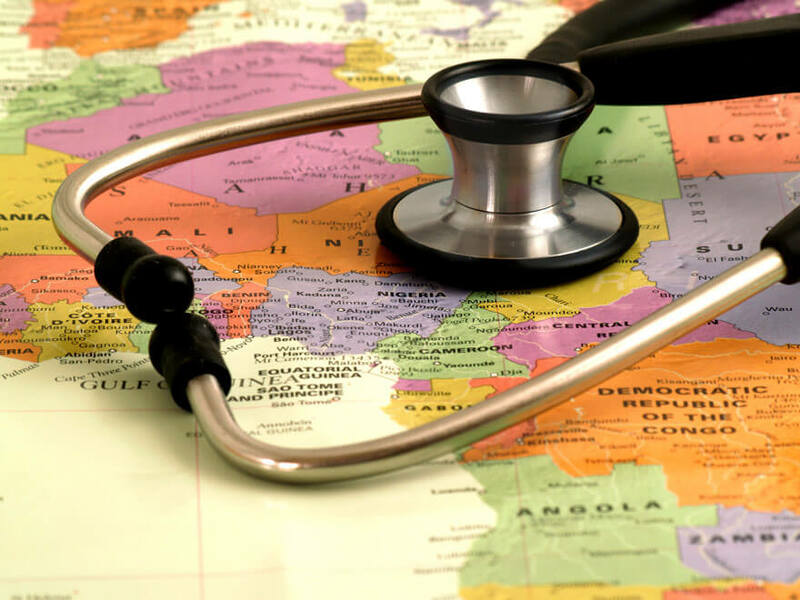 In exotic countries the medical care can be expensive – especially in the case of an emergency. Medical treatment often has to be paid in cash. Furthermore, there are dangers that don’t exist in your own country, like animal bites or different insects that may cause diseases. If your get bitten or twist your ankle, a travel insurance is a good idea in any case. If you travel within German borders you don’t need a travel insurance. The health insurance covers sickness or accidents and the likeliness to get bitten by tigers or other dangerous animals is, let’s say, quite low. The only thing that should be considered is a travel cancellation insurance. It protects you if you can’t step up to your journey because of sickness or other important reasons. Flight and train tickets are also often refunded.